In its recent debut in Manhattan hotel, ASIMO chirped "Hello New York! Thank you for coming today!" when it first showed up, in a recorded audio of a teenaged boy. Honda’s ASIMO (Advanced Step in Innovative MObility) has always been sensational since it was introduced in 2000. Also, there has been a series of tests where ASIMO fell through and one of the notable examples is the stair climbing test. But innovation didn’t stop there. In its recent debut in Manhattan hotel, ASIMO chirped “Hello New York! Thank you for coming today!” when it first showed up, in a recorded audio of a teenaged boy. Everything about it has been revamped, its sense of balance, agility, speed and maneuver look more versatile than ever. The most recent demonstration of ASIMO highlighted its increased flexibility and sense of balance. Now it can also communicate using sign language and can run at the speed of 5.6 miles per hour (9 km/h). 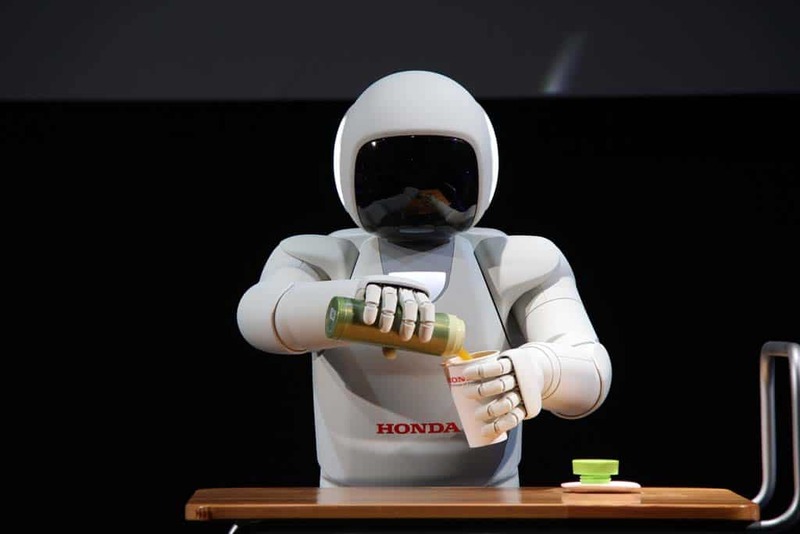 Researchers believe once ASIMO is perfected, it could help the elderly in their daily chores. Its improvement boosts their confidence of helping the society in need of assistance and people with reduced mobility in the near future. The video below demonstrates ASIMO’s new moves. Hi, I love reading your blog and am grateful for your regular visits to my blog too. So I am nominating you for The Sunshine Award, the one with the pretty summery logo [quite apt for a sunny Easter weekend!]. Please accept this message as a gesture of gratitude. I think it’s good to pass these awards along to other bloggers whose writing you enjoy. If you don’t do awards however, I do understand.